The loose tea brewed in a teapot or tea ball can be easily composted. Tea leaves are a good source of Nitrogen (Greens) organic material for the compost bin which will be moistened during the brewing process encouraging decomposition. The tea ball or strainer can be emptied directly into the kitchen caddy while loose leaves can be scooped from the pot into the caddy by hand, once cool. Teabags are usually listed as compostable items but in recent years more and more composters have complained that the bags do not actually decompose when composted. In 2010 a report by Which? Gardening, found that six out of the seven largest tea bag manufacturers did not make fully compostable bags. This is because at the bags include a non-biodegradable plastic (polypropylene) so that they can be more easily heat-sealed during manufacture. The bags may be described as “70% or 80%” compostable which includes the tea leaves and paper element of the bag but not the plastic. Although each individual teabag is small they account for about 150 tonnes of polypropylene going to landfill, AD or composting a year in the UK alone. This is equivalent to about 165 million teabags a day. Many of these are composted in food waste. The COOP announced in January 2018 that it was in the final stages of developing a plastic free biodegradable teabag for its own brand Fairtrade 99 teabags. The Coop which sells 367 million teabags a year hopes to have the new bags in their shops later this year. 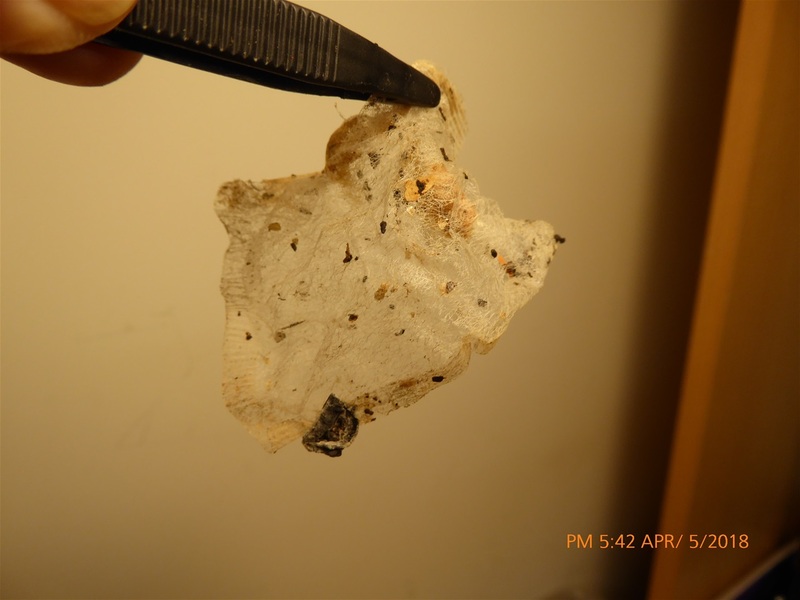 Mike Armitage a gardener from Wrexham started a petition to get manufacturers to remove all plastic from tea bags after finding residue from teabags in his garden compost. Details of the 38 Degrees petition can be found at (https://you.38degrees.org.uk/petitions). The petition succeeded in persuading the UK's largest tea bag manufacturer Unilever/PG Tips to announce that they will remove plastics from their teabags. Tetley teabags (Tetley string & tag teabags which are used mostly in their catering range of individually wrapped tea bags are plastic free). Compostable teabags made of a corn starch (SOILON) are sold by the Brew Tea Company and Teapigs. These will hot compost in about 6-8 weeks around 12 months in a cold composting system. Pukka Tea teabags are sewn by machine with cotton thread, not heat sealed, and do not contain plastic. The teabag paper is made of a blend of natural abaca (a type of banana) and plant cellulose fibres. Fruit, herbal and green tea ranges may already use a compostable tea bag material which can be put straight in the compost bin. or sieve or pick them out after composting. I have seen advice recently suggesting that to avoid the risk of the plastic entering the home compost, and eventually the soil, the bag should be emptied by cutting the top off the bag and tipping the tea residue into the kitchen caddy allowing it to be treated as loose tea. Unfortunately, if the empty bag is put into the household (landfill) rubbish bin the plastic will still enter the soil.